Hey, what if legendary news anchor Ron Burgundy – yeah, that guy – was asked to put together a drama-documentary explaining the 2008 economic meltdown? A hoot, right? There would be, like, Wolf Of Wall Street hottie Margot Robbie in a bubble bath explaining mortgage-backed securities and that girl – what’s her name? – Selena Gomez? – demonstrating the toxic nature of collateralised debt obligations at the blackjack table. 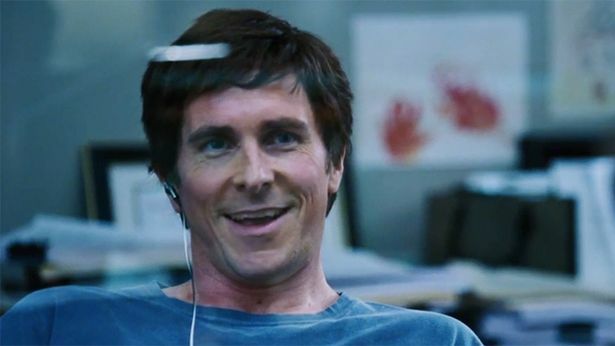 Throw it together with four big name actors to do the heavy lifting – Steve Carell, Christian Bale, Ryan Gosling, Brad Pitt – and what have you got at the end – an Oscar nomination. Best picture, if you please. OK, so you don’t get Ron Burgundy himself fronting this “traumedy” but instead the director who brought him to screen, Adam McKay. He also gets an Oscar nom for chopping up Michael Lewis’s devastating critique and interleaving the mayhem with comedy asides. The actors play real-life financiers who saw it all coming and bet their sizeable funds on a meltdown. The idea that the housing market – the bedrock – was a hollow con of seismic proportions was so unthinkable that every sniggering banker took their money and ran. 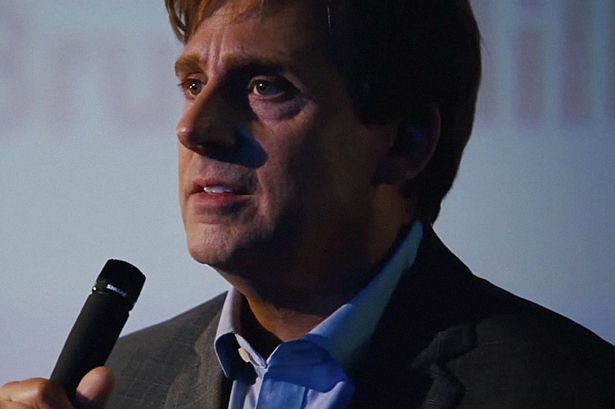 Steve Carell as Mark (“only happy when I’m unhappy”) Baum is the fullest of the quartet. He carries the film’s raging scorn for the greed of the banks which, as everybody knows, screwed up the world economy, put people on the streets then turned to central Government for a bail-out which they paid to each other in bonuses. “It’s like 2+2 = fish,” says one character of the smoke-and-mirrors world of sub-prime markets, junk debts sold as triple-A money spinners and ratings agencies paid to say dross was diamonds. 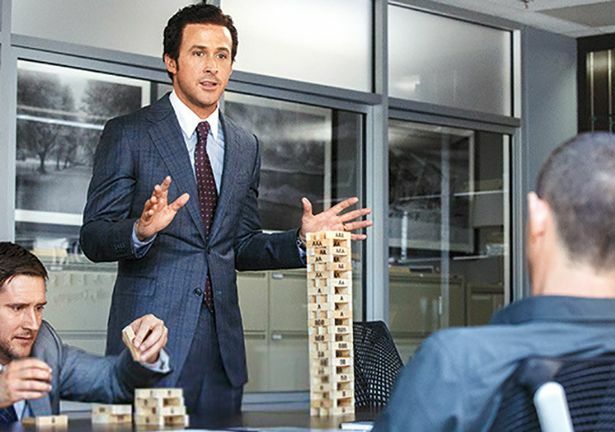 Bale plays the classic Asperger’s quant who reads spreadsheets like they’re the plaintext Nostradamus, Gosling is the slick salesmen hawking the trade for big money and Brad Pitt plays the cynical ex-broker who returns to the game to give the white collar ghouls a bloody nose. McKay puts in the goofball laughs to keep outsiders schooled on the deals and the jargon. The giggle snacks help, as well, to keep the fury in check. Justice was never more obviously left undone.